Primary Care and Women's Health: An Update and Review - 1 is organized by American Medical Seminars (AMS) and will be held from May 06 - 10, 2019 at The Westin Sarasota, Sarasota, Florida, United States of America. This CME Conference has been approved for a maximum of 20.0 ACEP Category I credits. About us: American Medical Seminars, Inc. was founded to provide high-quality practice-based CME. The seminars are held in beautiful, culturally rich Sarasota, Florida and sunny, diverse San Diego, California in an effort to combine your need for education with your needs for a vacation, relaxation and quality family time. In 1986, AMS embarked upon what has become 32 years of presenting CME activities. In 1998, AMS was granted Accreditation by the ACCME to become the responsible provider of CME for physicians and other healthcare providers. In 2017, CME4Life’s John Bielinski purchased AMS. He and his team arrived in Sarasota with decades of clinical experience and expertise, along with a deep knowledge of what it takes to create engaging CME. John is committed to continuing to provide physicians and other advanced practice providers with high-quality continuing medical education credits. AMS provides innovative live CME activities throughout the year. Our rigorous course development methods ensure that you are provided with concise, practical and evidence-based information that you can use in your practice today. These live courses are recorded, edited and reproduced as Self-Study courses that are available in various formats, including downloadable MP3s and MP4s, and audio and video USB drives. Therefore, your ability to study any time you travel, commute to the office or during any other “down-time” has never been more productive or convenient. Dermatology: Principles and Practice Strategies for the Primary Care Office - 1 is organized by American Medical Seminars (AMS) and will be held from May 13 - 17, 2019 at The Westin Sarasota, Sarasota, Florida, United States of America. This CME Conference has been approved for a maximum of 20.0 ACEP Category I credits. About us: American Medical Seminars, Inc. was founded to provide high-quality practice-based CME. The seminars are held in beautiful, culturally rich Sarasota, Florida and sunny, diverse San Diego, California in an effort to combine your need for education with your needs for a vacation, relaxation and quality family time. In 1986, AMS embarked upon what has become 32 years of presenting CME activities. In 1998, AMS was granted Accreditation by the ACCME to become the responsible provider of CME for physicians and other healthcare providers. In 2017, CME4Life’s John Bielinski purchased AMS. He and his team arrived in Sarasota with decades of clinical experience and expertise, along with a deep knowledge of what it takes to create engaging CME. John is committed to continuing to provide physicians and other advanced practice providers with high-quality continuing medical education credits. AMS provides innovative live CME activities throughout the year. Our rigorous course development methods ensure that you are provided with concise, practical and evidence-based information that you can use in your practice today. These live courses are recorded, edited and reproduced as Self-Study courses that are available in various formats, including downloadable MP3s and MP4s, and audio and video USB drives. Therefore, your ability to study any time you travel, commute to the office or during any other “down-time” has never been more productive or convenient. KSC: Kinetic Shoulder Complexis organized by The Institute of Physical Art, Inc. (IPA) and will be held from Jun 08 - 09, 2019 at Kennedy-White Orthopaedic Center, Sarasota, Florida, United States of America. This Conference has been approved for a maximum of 16 Contact Hours. Audience: PT, PTA, OT, SPT Attendees agree to utilize all skills of evaluation, assessment and treatment learned in this course to the extent allowed under the regulations of their professional practice act. By registering you acknowledge that your attendance does not represent authorization by the IPA, or any of its officers, to utilize any of the material learned which may lie outside of the strict interpretation of your practice act. Course Purpose: This course is a lab-intensive introduction to the Functional Manual Therapy® system that will train the participants in the management of the Shoulder region. Participants will learn to treat and assess the Thoracic Girdle, Shoulder Girdle, and Intrinsic Motions of the Glenhumoral Joint. Course Objectives: By the end of the course the participant will; 1) Demonstrate through small group discussion, monitored by the instructor, the ability to list: • The underlying principles of a functional shoulder evaluation. • The biomechanical principles which govern shoulder function. • The mechanical, neuromuscular, and motor control impairments which can alter efficient shoulder function. • The functional interrelationship of the body’s systems and regions necessary for efficient shoulder function. 2) Correctly utilize the manual and visual skills necessary to accurately: • Evaluate the functional capacity of the shoulder region. • Identify the primary impairments which are limiting functional capacity. 3) Perform the manual, observational and problem solving skills to: • Assess the mechanical impairments contributing to the identified limitations of shoulder functional capacity. • Assess the neuromuscular CoreFirst strategies necessary for efficient shoulder actions. • Perform appropriate mobilization and re-education treatment to facilitate enhanced shoulder function. 4) Identify through the appropriate manual skills the mechanical, neuromuscular, and motor control impairments and to design and implement a treatment program to restore mobility and functional capacity to the following structures; • First and second rib • Upper Thoracic Spine • Shoulder Girdle • Clavicle • Glenohumeral intrinsic motions • Glenohumeral End of Range motions Additional details will be posted as soon as they are available. ECG in Primary Care: Beyond the Basics - Improving Your 12-Lead ECG Interpretation Skills is organized by American Medical Seminars (AMS) and will be held from Jun 17 - 21, 2019 at The Westin Sarasota, Sarasota, Florida, United States of America. Accreditation: 20 AMA PRA Category 1 Credits™ 20 CME Credits – ACEP ACOG Narrative Description: Many, if not most, medical schools and residency programs are deficient in the amount of ECG interpretation instruction they provide. Most med school graduates are unprepared for handling cardiac cases or emergencies that require interpreting a 12-lead ECG. Too many rely on the ECG machine interpretation. Residency programs typically do not offer basic instruction in electrocardiography other than occasional presentations of complex ECGs that does little to further the practical skillsets of the residents. This is can be very dangerous. This class is designed to take the person with no more than basic knowledge of ECGs and to expand that knowledge and skill through presentations not usually found in most lecture series. Not only are ECG patterns presented, but the cause of those patterns is also discussed in order to give each finding a link to the physical anatomy and physiology of the heart. Each participant should feel more confident in recognizing abnormalities – whether they understand what is happening or not. Too often serious abnormalities are simply not recognized and the patient has an unfortunate outcome. Just the ability to recognize an abnormality – with or without being able to diagnose it – can save a life. Specific Topic Objectives: Day 1 Normal/Abnormal P waves, PR intervals and QRS complexes. Upon completion of this session, the participant should be able to: COMP • Distinguish P waves originating outside the SA node. • Differentiate PR intervals that indicate AV conduction from those that do not. • Appraise the appropriateness of the QRS intervals in relation to the leads in which they appear • Distinguish normal septal q waves from pathological Q waves. Normal/Abnormal ST Segments and T Waves. Upon completion of this session, the participant should be able to: COMP • Distinguish between normal ST segments and ST segments that deviate abnormally from the baseline. • Relate the different appearances of an abnormal ST segment. • Detect abnormalities in the T wave. • Appraise the QTc interval for abnormal durations. Axes and Vectors and the Hexaxial Grid: How do they help? Upon completion of this session, the participant should be able to: COMP • Determine the Mean QRS Axis (ÂQRS) in the frontal plane. • Relate why a particular deflection may be positive in one lead but negative in another. • Utilize vectors to determine the approximate site of origination and termination of a depolarizing impulse. • Employ the hexaxial grid to determine the effect of vectors on particular areas of the heart. Leads and Electrodes: What Do They See? How Do I Group Them? Are They Applied Correctly? Upon completion of this session, the participant should be able to: COMP • Analyze the 12-lead ECG in terms of inferior, anterior, posterolateral, anteroseptal and anterolateral patterns. • Use the knowledge of Einthoven’s Triangle to determine the source of an electrode connectivity artifact. • Apply knowledge of correct deflection morphologies in detecting the presence of lead wire interchanges. Day 2 Bundle Branch Block. Upon completion of this session, the participant should be able to: COMP • Distinguish the classic morphologies of complete right bundle branch block (cRBBB) and complete left bundle branch block (cLBBB). • Differentiate the repolarization abnormality from acute ischemia. • Distinguish between true complete bundle branch block and ventricular ectopy. • Distinguish nonspecific interventricular conduction defects from classic bundle branch block. 1st Degree and 2nd Degree AV Blocks. Upon completion of this session, the participant should be able to: COMP • Interpret a 1st Degree AV block in relation to the patient’s age and physical condition. • Detect a Mobitz Type I 2nd degree AV block and relate it to a cause, a prognosis and a treatment. • Detect a Mobitz II 2nd degree AV block and relate it to a cause, a prognosis and a treatment. • Differentiate Mobitz Type I and Mobitz Type II AV blocks with regards to the site of block. 3rd Degree AV Block and AV Dissociation. Upon completion of this session, the participant should be able to: COMP • Distinguish a 3rd degree AV block from a simple AV dissociation. • Discuss capture beats and fusion beats and demonstrate their utility in the diagnosis of AV dissociation and its differentiation from 3rd degree AV block. • Relate the differences between a junctional escape pacemaker and a ventricular escape pacemaker. • Illustrate the differences between a 3rd degree AV block in the AV node and one in the infranodal regions. Chamber Enlargement. Upon completion of this session, the participant should be able to: COMP • Relate at least two different methods of determining left ventricular hypertrophy. • Detect the electrocardiographic signs of right ventricular hypertrophy. • Distinguish right atrial abnormality from left atrial abnormality. • Relate the presence or absence of a repolarization abnormality in RVH and LVH to patient prognosis. Day 3 Atrial Tachycardia, Atrial Fibrillation and Atrial Flutter. Upon completion of this session, the participant should be able to: COMP • Distinguish atrial tachycardia from sinus tachycardia. • Distinguish atrial flutter from both atrial tachycardia and sinus tachycardia. • Distinguish sinus tachycardia from atrial flutter with 2:1 conduction • Detect 3rd degree AV block in the presence of atrial fibrillation AVNRT: Atrioventricular Nodal Reentrant Tachycardia. • Upon completion of this session, the participant should be able to: COMP • Relate the typical P wave changes in AVNRT relative to the QRS complex • Relate the mechanism of AVNRT and how that knowledge is used to terminate the dysrhythmia • Distinguish AVNRT from a rapid atrial flutter with 2:1 conduction Pre-excitation and AVRT (Atrioventricular Reentrant Tachycardia) Upon completion of this session, the participant should be able to: COMP • Detect positive and negative delta waves • Differentiate between a “by-stander” accessory pathway and a “circus movement” dysrhythmia • Differentiate between an AVNRT and an AVRT • Relate the inherent dangers of an accessory pathway Wide Complex Tachycardias (WCT) | Ventricular Tachycardia. Upon completion of this session, the participant should be able to: COMP • Distinguish between classic bundle branch block morphology and ectopy • Utilize three “quick signs” that are highly suggestive of ventricular tachycardia as the cause of a WCT • Relate and utilize the Brugada Algorithm in diagnosing ventricular tachycardia • Assess a WCT for its differential diagnosis of four possibilities: ventricular tachycardia, SVT with aberrancy, antidromic AVRT and “toxic tachycardia” associated with hyperkalemia or Na+ channel blocker toxicity. Day 4 Ischemia: Subendocardial, Epicardial, Hyperacute T’s, Jones’s Sign (Jones’s Rule) Upon completion of this session, the participant should be able to: COMP • Differentiate between subendocardial ischemia and epicardial ischemia. • Analyze a 12-lead ECG for the earliest signs of myocardial ischemia. • Detect “Jones’s Sign” and assess minimal ST changes as possible early signs of ischemia. • Distinguish between inferior, anteroseptal (anteroapical), anterolateral and posterolateral epicardial ischemias. Reciprocal changes: What are they and how do they help? | Timeline for ST – T Resolution Post-MI. Upon completion of this session, the participant should be able to: COMP • Differentiate between ST depression as an indication of subendocardial ischemia or as a reciprocal change • Utilize serial 12-lead ECGs to detect subtle changes in the ST segment when the initial ECG is non-diagnostic • Detect dysrhythmias characteristic and diagnostic of reperfusion • Relate current ST deviation in relation to the elapsed time following reperfusion Inferior MIs and Posterolateral MIs. Upon completion of this session, the participant should be able to: COMP • Detect ST elevations indicating acute inferior epicardial ischemia • List two other areas of the heart commonly affected when inferior epicardial ischemia is evident • Distinguish between anterior subendocardial ischemia and posterolateral epicardial ischemia • Recommend a preferred approach to a patient with chest pain and a non-diagnostic admission 12-lead ECG Anterior MIs. Upon completion of this session, the participant should be able to: COMP • Distinguish between anteroseptal and anterolateral acute epicardial ischemia • Utilize reciprocal changes in the limb leads to validate acute anterior epicardial ischemia • Specify inherent difficulties in evaluating ST elevation in Leads V1 and V2 • Distinguish between basolateral and apicolateral involvement Day 5 Methodical Approach to ECG Interpretation. Upon completion of this session, the participant should be able to: COMP • Recognize the importance of a fixed, methodical approach to 12-lead ECG interpretation. • Demonstrate the recommended order of 12-lead ECG analysis. • Utilize the “Three Main Causes” approach to abnormalities encountered while interpreting a 12-lead ECG. • Integrate participant’s own adjustments to the methodical approach without reducing sensitivity 5 Things You MUST Look For Before Putting Down an ECG | 5 Fatal Mistakes To AVOID While Interpreting an ECG. Upon completion of this session, the participant should be able to: COMP • List 5 conditions for which the ECG must be specifically and carefully scrutinized • Specify 5 analytical or interpretative mistakes that could result in increased patient morbidity or fatality • Integrate steps to avoid missing important signs on the 12-lead ECG into the methodical approach. Two Signs of Potentially Lethal Dysrhythmias and Two Signs of Potentially Lethal Heart Disease. Upon completion of this session, the participant should be able to: GL, COMP • Detect the ECG changes of Brugada Syndrome • Detect changes suggestive of hyperkalemia • Detect the changes of Wellens Syndrome • Detect de Winter T wave changes and relate their importance ECG Interpretation Practice. Upon completion of this session, the participant should be able to: GL, COMP • Demonstrate the ability to utilize the Methodical Approach to 12-lead ECG interpretation while incorporating the “Three Main Causes” approach to assessing any abnormalities encountered during the interpretation • Demonstrate the ability to recognize the different forms of AV block and to differentiate 3rd degree AV block from simple AV dissociation • Specify the classic morphological features of left and right bundle branch block and the importance of the repolarization abnormality • Recognize the main categories of subendocardial and acute epicardial ischemia • Relate the importance and use of reciprocal changes in diagnosing acute epicardial ischemia. 43rd Annual Florida Suncoast Pediatric Conference is organized by Johns Hopkins All Children's Hospital and will be held from Jun 20 - 23, 2019 at The Ritz-Carlton, Sarasota, Sarasota, Florida, United States of America. Additional details will be posted as soon as they are available. Family Medicine, Pediatrics and Sports Medicine: A Comprehensive Approach to Clinical Problems - 1 is organized by American Medical Seminars (AMS) and will be held from Jun 24 - 28, 2019 at Sarasota, Florida, United States of America. Credits: 20 AMA PRA Category 1 Credits™ 20 CME Credits – AAFP ACEP ACOG 6 CME Credits – AAP Mainpro-M1 (Canadian Physicians) Description: Following this course, the participant should be able to appraise the etiologies and recognize the clinical presentations of the commonly seen disorders presented; indicate diagnostic tests available and the suggested use for making a diagnosis; implement available treatment options and appropriate long-term care when indicated. This activity is expected to result in improved competence in making an appropriate diagnosis and providing effective treatment and referral or follow-up care with the overall goal of improving patient outcomes. When indicated in the specific objectives, emphasis will be on aligning physician behavior with current guidelines and evidence-based medicine with a focus on diagnosis, treatment and when to refer. 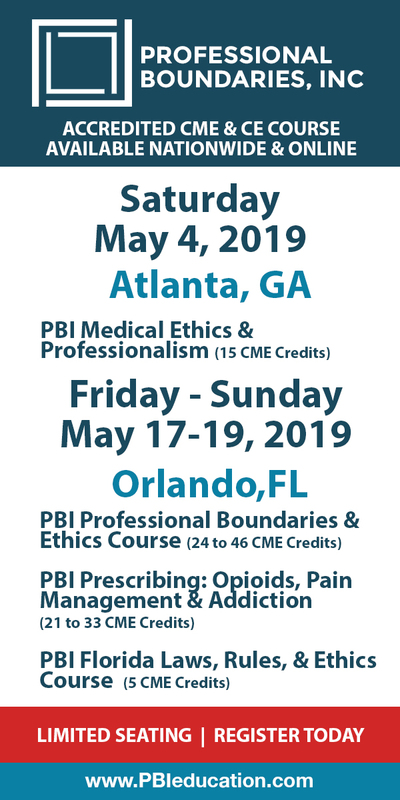 This course was designed to inter-relate the disorders presented in an effort to help all practitioners at the level of a practicing physician or practitioner relate their practice strategies with other providers and specialists. By doing this, it will provide them with increased competence to appropriately diagnose and refer or effectively treat their patients’ conditions to optimize their care. Objectives: Day 1 • Routine Adult Care. • More than Skin Deep: Dermatologic Conditions in Athletes. • Depression and Anxiety in Primary Care. • The Evaluation and Treatment of Common Knee Conditions Day 2 • Evaluation of Shoulder Pain in Athletes and Athletic Individuals • Smoking Cessation. • Evaluation and Treatment of Neck Pain • Headache Day 3 • Dermatologic Manifestations of Systemic Disease. • Case Studies in Dermatology. • Malignant Melanomas, Part I. • Malignant Melanomas, Part II. Day 4 • Tick-Borne Infections: Hot Spots and Bullseyes. • Improving Compliance. • Acute Otitis Media: Of Pathogens and Patients. • Identification and Treatment of Traumatized Patients. Day 5 • Thyroid Disease • Chief Complaint: Fever and Rash. • Obesity. • Virus X: Ubiquitous, Uncanny, Understandable. American Dermatological Association (ADA) Annual Meeting 2019 is organized by American Dermatological Association (ADA) and will be held during Aug 14 - 18, 2019 at The Ritz-Carlton, Sarasota, Sarasota, Florida, United States of America. 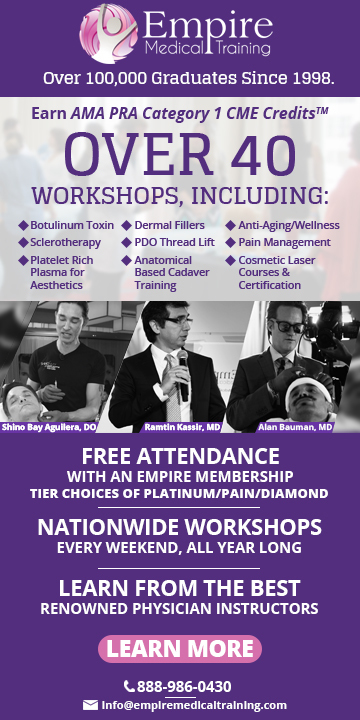 The target audience for this medical event is Dermatologists. Additional details will be posted as soon as they are available.